Ambition: A Small Business Superhero can’t thrive without it. Yet without clarity of vision and awareness of one’s deeper ‘why,’ ambition can lead us down a path paved by others. Laurel Roach, founder of TriFIT Wellness, was happily marching upward on such a path; she had a great career as a corporate executive, experiencing rapid and persistent advancement when she experienced the epiphany that her deeper ‘why’ was unmet. She realized she’d gained all she could from the path she was on and that it was time to start something new. Unsure of what, and open to anything, she came across a gym, TriFIT Wellness, that was for sale and - like that - she knew it was meant to be. To Laurel and its members, TriFIT Wellness is more than just a gym. Located in the heart of midtown Phoenix, TriFIT focuses on building community by employing a truly holistic mind/body/spirit approach to wellness. Laurel understands that being truly healthy isn’t just about exercise; it also means eating nourishing foods, getting good sleep, and having balance in your life. TriFIT is a place where members truly enjoy spending their free time. Everyone’s goals are supported, their obstacles shared and overcome, and successes are always celebrated. In the eleven months since purchasing TriFIT Wellness, Laurel’s day-to-day has shifted significantly. Her first priorities were to reorganize the space and create the procedures and policies that would bring about her vision of creating harmonious health for her clients. 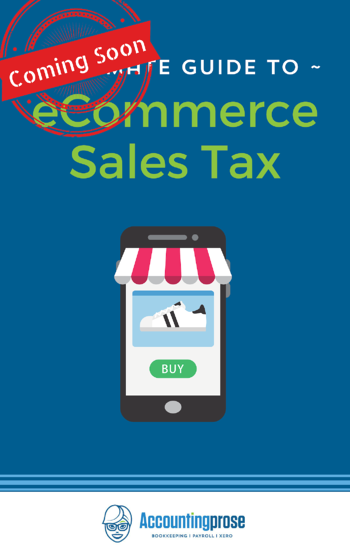 She then updated the website and logo, changed their pricing structure, and developed a marketing plan including social media and SEO strategy. Once her business foundation was constructed exactly the way she wanted, Laurel was eager to get new customers in the door. She started focusing on sales, an area in which she still feels the most comfortable! As the new face of TriFIT Wellness, she delights in spreading her passion for holistic health to anyone genuinely willing and ready to commit to their own self-improvement.The results are undeniable, as the business has seen tremendous growth over the last year thanks to her efforts. 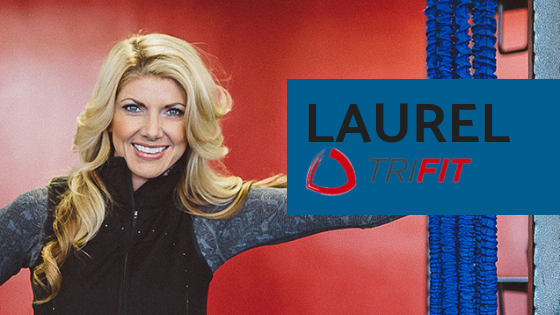 Laurel has been able to expand her talented team of trainers and give TriFIT’s members, new and old, a community unlike any other in town. Laurel is proud of where she’s at, having recognized and overcome pernicious limited expectations she had internalized as to what was possible for a female entrepreneur. Without an example to follow, she carved out, first, a corporate career where she persistently exceeded expectations and, now, a successful business that actually helps people. Once she decided to do what made her happy and fulfilled, she found her capabilities always rose to whatever level she needed. Like many small businesses owners first starting out, Laurel managed her own books out of necessity. Daunted by the task, bookkeeping never took up much of Laurel’s time. She simply avoided doing it out of fear-based paralysis! She would sit and stare dumbstruck, in tears, at this pile of work she knew needed doing yet she felt completely lost as to how to complete. She knew this wasn’t tenable and that she’d have to find someone professional so she could focus on her primary vision of creating holistic health for her clients. Her business was pretty new, but she was certain the peace of mind would outweigh the cost! Laurel describes moving to Accountingprose as ‘absolutely pivotal’ because now that she is worry-free, she is able to do more for her business, her team, and her customers. She and her team build community by supporting one another in their fitness goals, as well as helping others through volunteer work. Some of their clients even join in too! They recently participated in Feed My Starving Children where they packed meals for kids who otherwise wouldn’t have any. Her favorite part about being a business owner is the flexibility it adds to her life and the wellness she brings into the lives of others. Moving on from her stable corporate job, she sought a much better work/life balance. Her three year old daughter keeps her plenty busy at home, so she loves being able to split her time between being a mom and being the boss as she sees fit. If she had a superhero power would be making people feel safe by seeing and supporting their full humanity. That’s exactly the type of culture she’s built within TriFIT Wellness. She wants all of her clients and trainers to feel comfortable and like they’re smashing their goals as they’re cheered on by their peers and the staff. New members are always made to feel welcome! Are you in the Phoenix area, looking for an amazing community to support your [perhaps new] healthy lifestyle? TriFIT Wellness is offering a free first week for new members! Just get ahold of them and mention Accountingprose to receive the offer. Interested in hearing more about what Laurel thinks of Accountingprose?